V6 Fusion is a powerful software solution for managing your company’s compliance across multiple partner programs. It is easy to use and delivers comprehensive and detailed reports specifically designed to give you all the information you need to understand and analyse your current certifications, partner status, and capabilities. 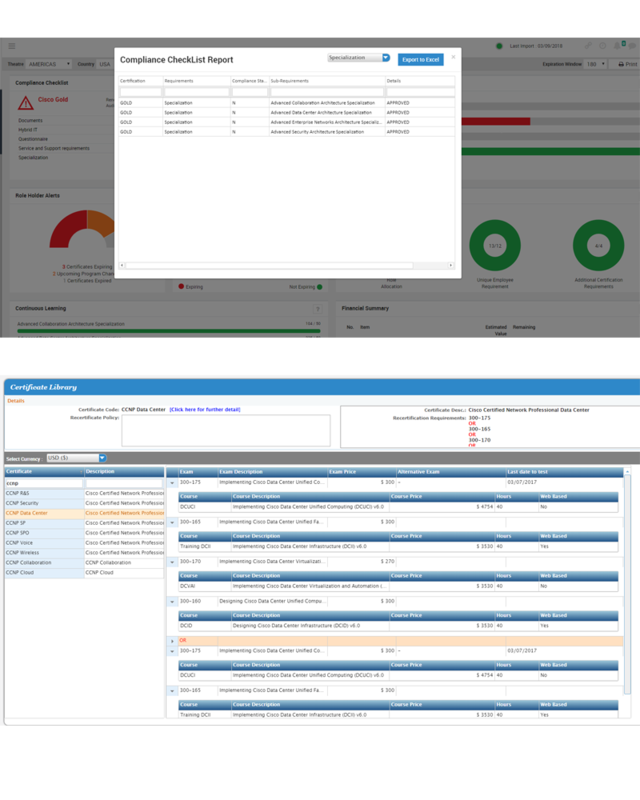 You can track your vendor partner compliance making it easy to identify where you might be at risk and what actions you need to take. Global Executive graphical dashboards displaying multi-vendor synopsis by country and by vendor. 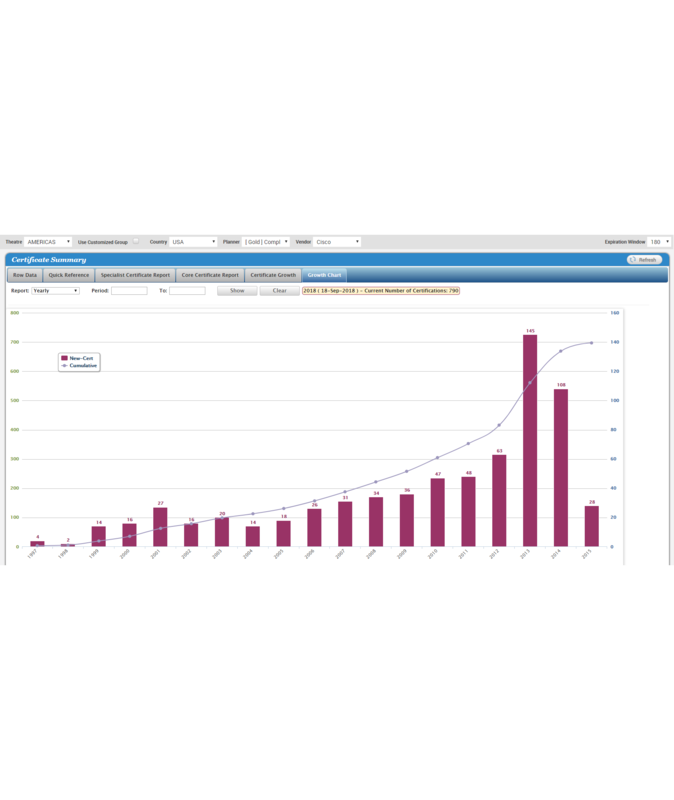 Comprehensive Vendor dashboards with highlighted compliance status that drill down into detailed reports. 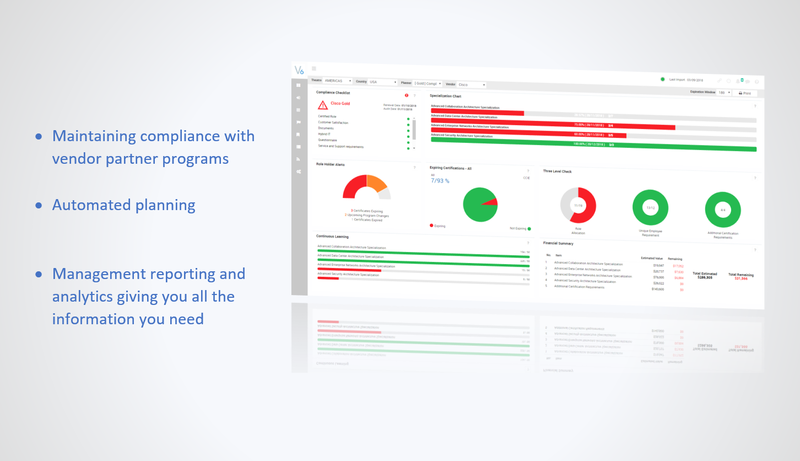 Every aspect of your compliance status in the Partner Programs. Information on actions, deadlines, and costs to maximise your Partner status. Forthcoming expiry of certifications by time frames set by you. Access to training on all aspects maximising your Partner Program. Regular checks on issues and opportunities affecting compliance.